My oldest daughter is starting kindergarten this week. Enter ALL of the feels for this Mama! Before I had children, I never understood why moms would get worked up over their child’s first day of school. Of course, now I completely understand! I’ve always been a school supply nut, so I am happily purchasing all of the goodies that go into her backpack: the crayons, scissors and pencils. More importantly however, my focus is what will go into her lunch pail! I try to let my kids be kids, splurging sometimes on pizza and ice cream. However, for the most part they eat like I do. A diet that is sugar, dairy and gluten free. Like all of us though, I am a busy Mama and sometimes need to be able to throw a healthy lunch together quickly! In thinking ahead, I wanted to share a week’s worth of quick and easy gluten, dairy and sugar free lunch ideas for kids, in the hopes of making your life a bit easier for this upcoming school year! Cassava Tortilla, click here to purchase! Primal Kitchen Ceaser Salad Dressing, click here to purchase! Paleo Ranch Dressing from Primal Kitchen, click here to purchase! 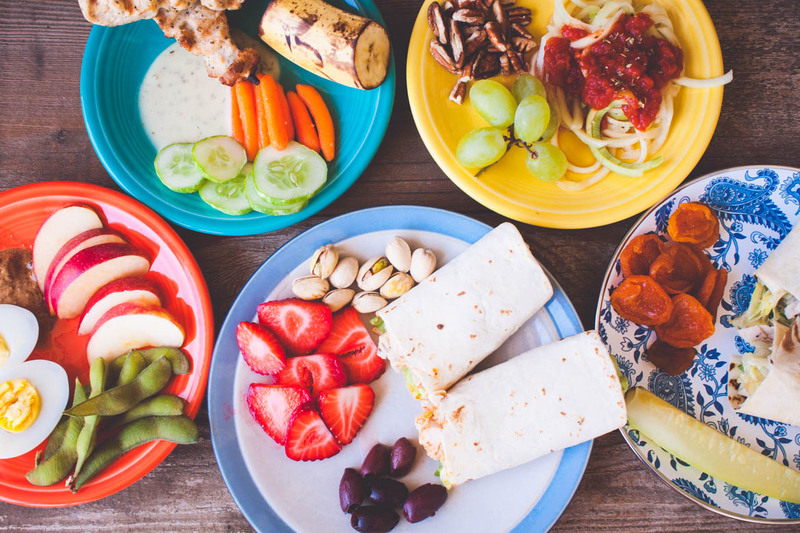 I’d love to hear about any healthy lunches you pack for your kids! The more ideas the merrier!